No, no, no… it’s nothing like that! – she’s just such a great cook that people have frequently used that word to describe her food. 🙂 Maureen is an American living in Australia, and we’ve become friends (virtually) over the last year or so. I’ve been so drawn to her blog, not only for her fabulous culinary skills and great recipes, but she’s a wonderful storyteller who always has something interesting and thoughtful to share – on top of all this, she has a hilarious sense of humor. One post had me laughing so hard, I literally cried! 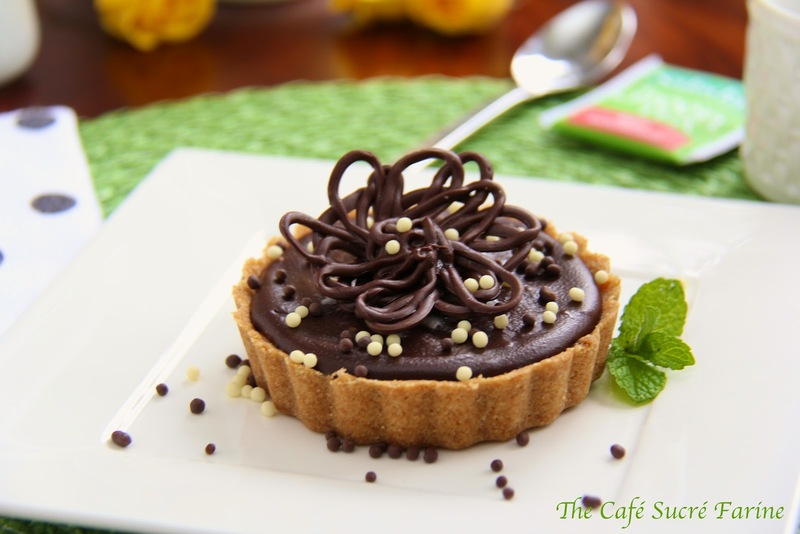 If you’re a regular visitor to The Café, you might recognize this Peanut Butter Tart w/ Shortbread Crust & Chocolate Ganache Glaze. I shared it a while back and because of its popularity here at The Café, I thought it would be fun to share with Maureen’s readers as well. If you’re looking for an amazing, show-stopper dessert check out the recipe here. Be sure to stay awhile and explore Maureen’s blog. I have a feeling you’re going to enjoy your visit to “the land down under”…see you there! Headed to her Blog right now. Love the chocolate frosting bow on the tart. chocolate-peanut butter-shortbread. ahhh, so many things to love about this. besides it’s so pretty! I would love a taste of it! Happy Monday! Waw! what a truly & utterly deliciously looking tartlets! so good & so fabulous even! What a surprise when I opened Maureen’s blog the other day to find you visiting Chris! I’m going to take this as a sign that I really must make this tart seeing as you’ve told me twice. This looks wonderful and I”ve been to Maureen blog many times. It’s wonderful just like yours. I subscribe to Maureen’s blog and was so pleased to see your guest post. It was a great one. o yes, love Maureen’s blog. 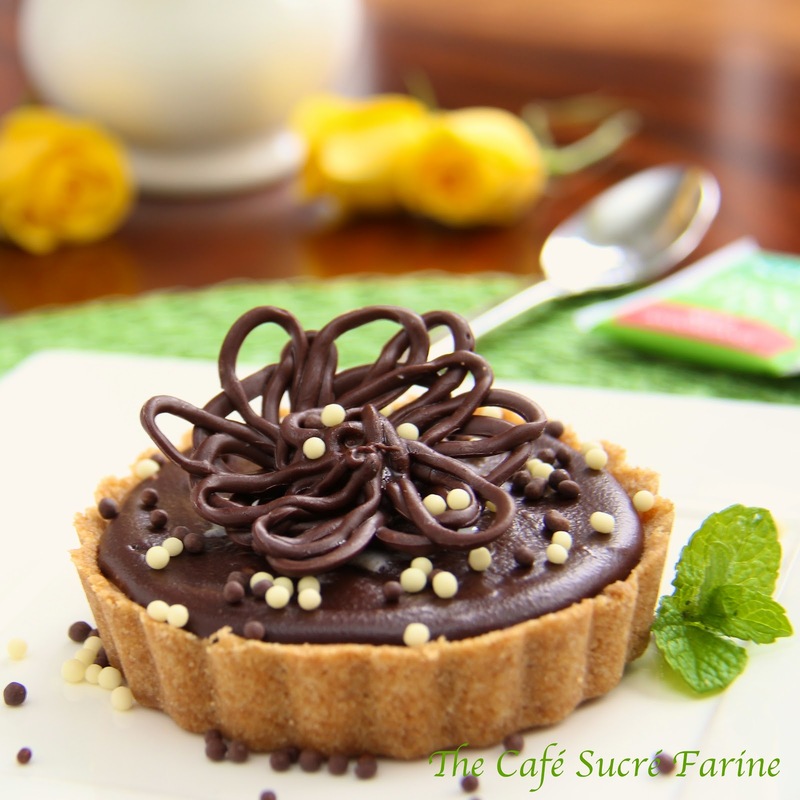 Loved your guest post, this tart looks so decadent!